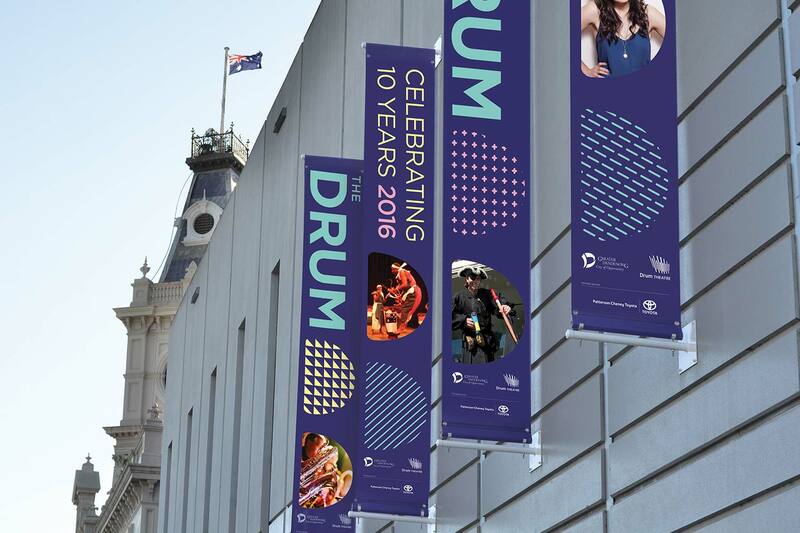 In 2016, Dandenong’s much loved Drum Theatre celebrated it’s 10th year of operation. 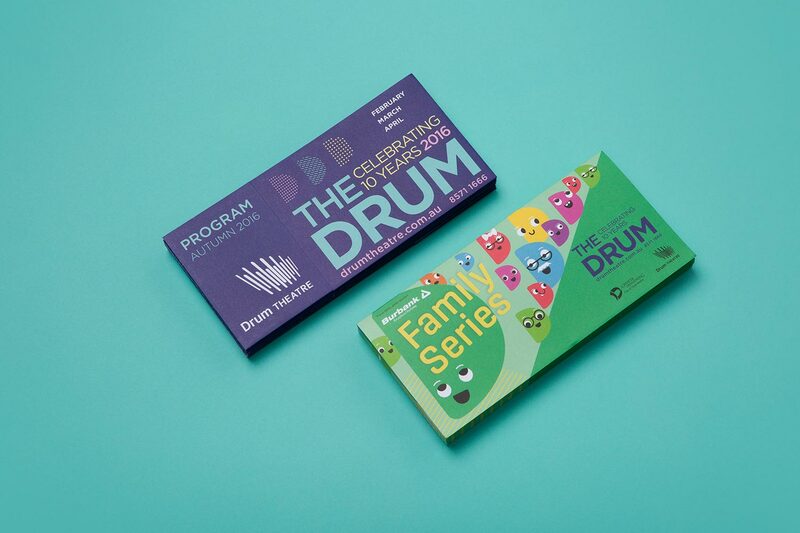 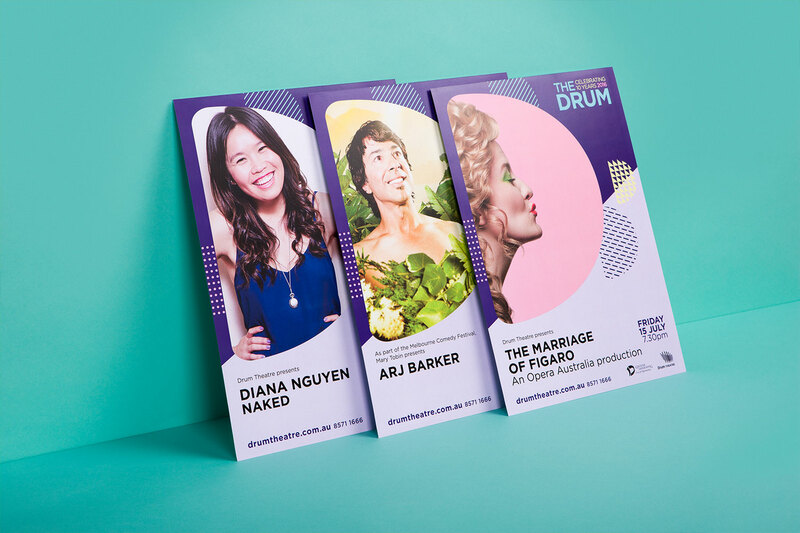 We created a new look for The Drum’s 2016 season, reflecting the theatre’s desire for greater engagement and participation with a diverse community. 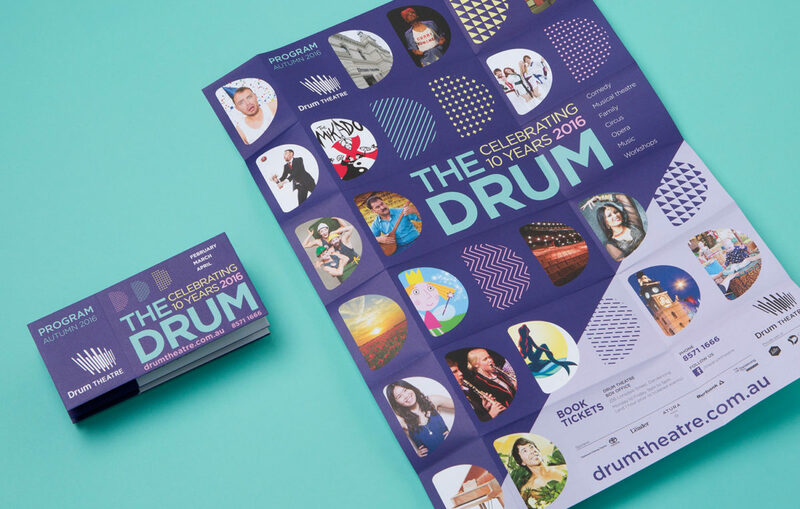 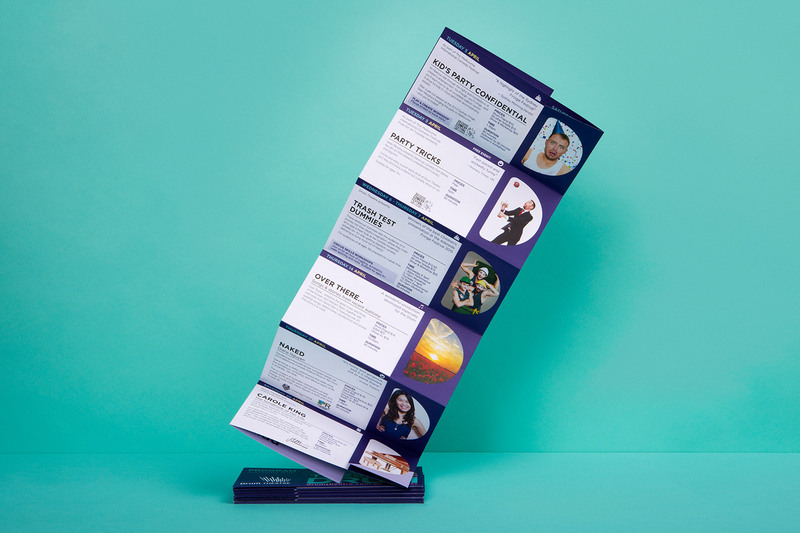 We rolled out the season’s branding to a range of collateral including banners, a series of programs, brochure and poster templates and website banners.